The Regents of the University of California is the governing board of the University of California. The Earth and Planetary Sciences Program at U.C. 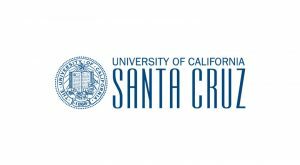 Santa Cruz, where the principal investigator for this project is based, focuses on hydrogeology, tectonics, and climate studies, among other areas of research. This grant supports the development of a paleoclimate version of the Community Earth System Model (P-CESM), a highly refined and well-established climate modeling code. Comprehensive Earth system models are valuable tools to predict how the climate system may respond to increasing levels of atmospheric CO2, a key driver of modern climate change. Since these levels are expected to reach concentrations not experienced since the Earth’s distant past, the best way to test the models is to determine how well they replicate climates and climate change events in deep time (defined as older than 2.6 million years ago). This new version of the CESM code will be customized and optimized for paleoclimate simulations that require longer simulation times and different conditions than modern climate simulations, providing the deep-time paleoclimate community with a new and powerful modeling tool.